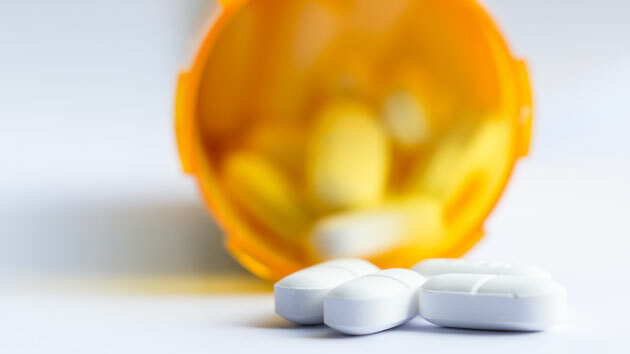 iStock/Thinkstock(NEW YORK) — Not much is known about how teens and children use prescription medications, but a new study published in Pediatrics provides some insight. Researchers from the University of Illinois at Chicago looked at how many prescriptions are being issued to this age group, how many medications they were taking at one time, as well as major drug interactions. The authors collected health information of over 23,000 children 19 years and younger using the National Health and Nutrition Examination Survey from 2003 to 2014. Nearly one in five children and adolescents used at least one prescription medication; approximately 7.5 percent used two or more and the use of prescription medications was the highest among adolescent girls (28 percent) and boys ages 6 to 12 years (26.5 percent). Among those using multiple medications, one in 12 was at risk for a major drug interaction, and the vast majority of these potential interactions involved antidepressants. Adolescent girls were at a higher risk of interacting drug regimens compared to other groups, largely because of their higher rate of medication use. The authors note that their findings should bring particular attention to medication safety. Despite the implementation of national programs focusing on medication safety, side effects related to medications remain a leading cause of injuries and death among children and adolescents in the United States. According to the Centers for Disease Control and Prevention, approximately 200,000 children and teens visit emergency departments each year because of side effects related to medications. Other experts argue that raising professional awareness may not be enough. In a commentary article to the study in Pediatrics, Dr. Stephen Downs, Professor of Pediatrics at Indiana University School of Medicine, advocates for a more automated process, one embedded in an electronic medical record to alert the prescriber to dangerous drug interactions before a prescription is written. “It really helps to try to use the same doctor and same pharmacy so that the records can be updated,” adds Trella. She also recommends keeping the names and doses of the medications on a list in your wallet or in your phone. For more information on medication side effects, both the American Academy of Pediatrics and the CDC have guidance on medication safety for parents of children and teens. September 24, 2018 Comments Off on Think You’re Ready To Buy A House? Ask These 6 Questions First.